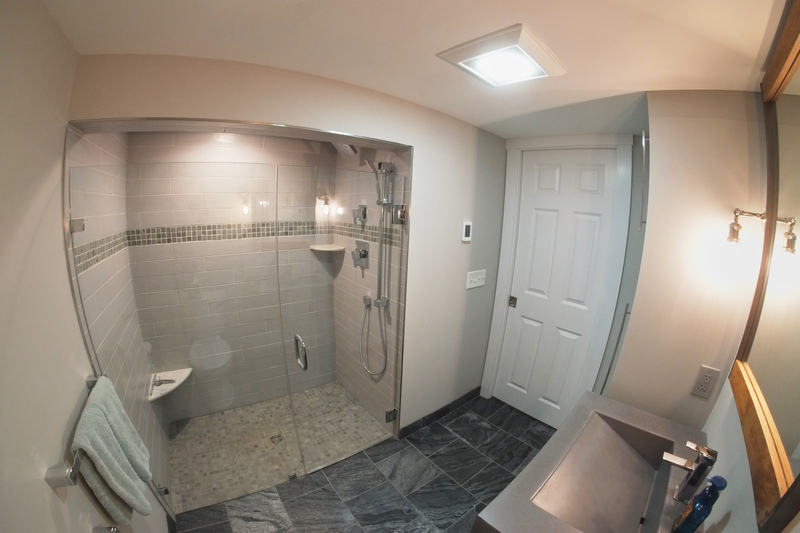 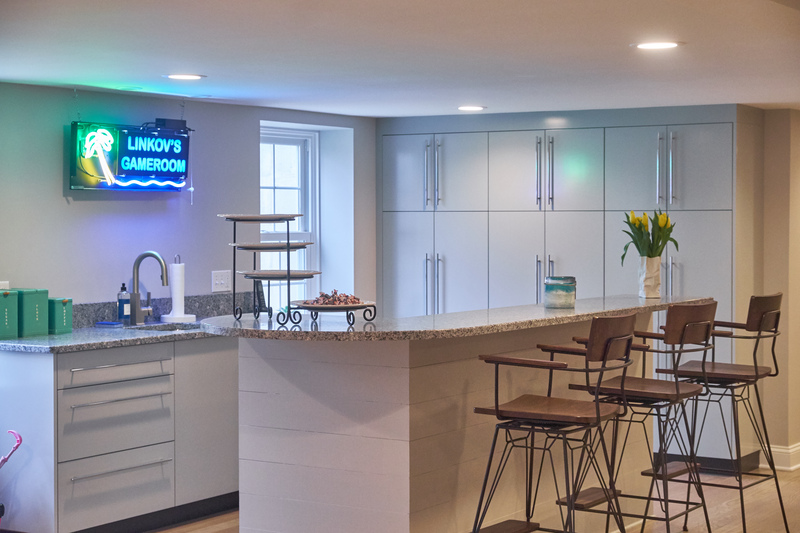 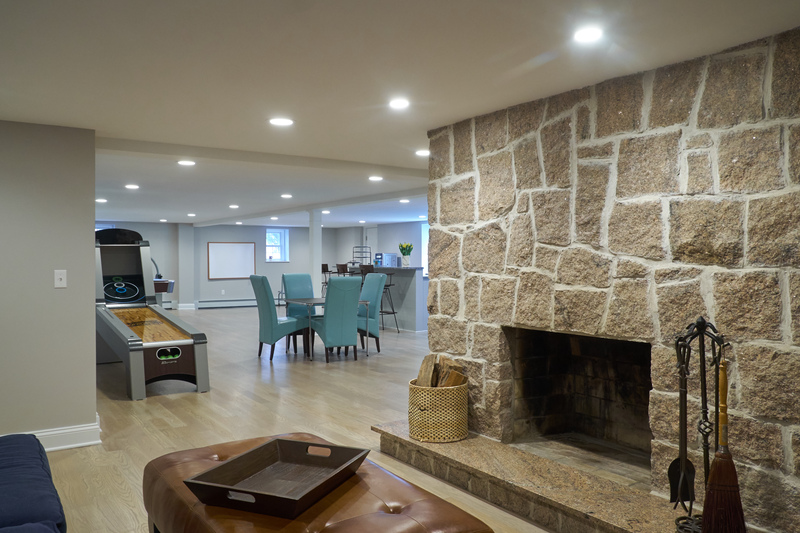 This sprawling basement was unfinished and had low beams throughout. 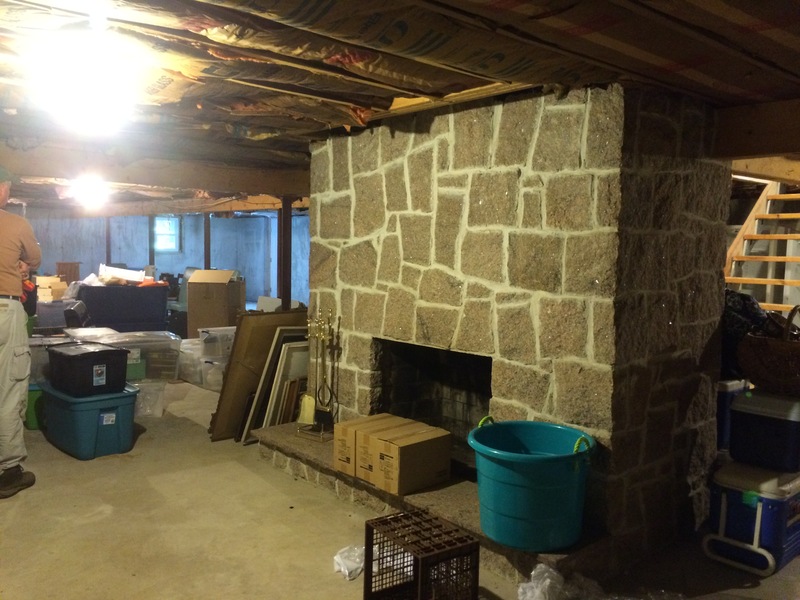 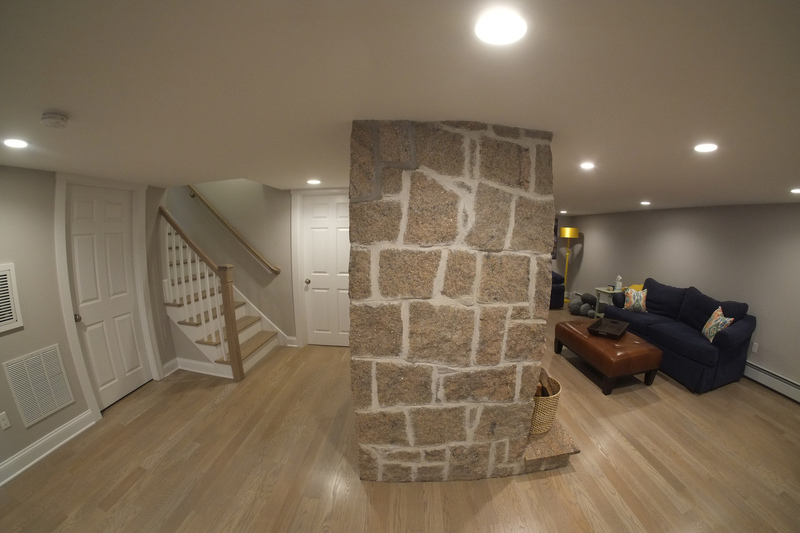 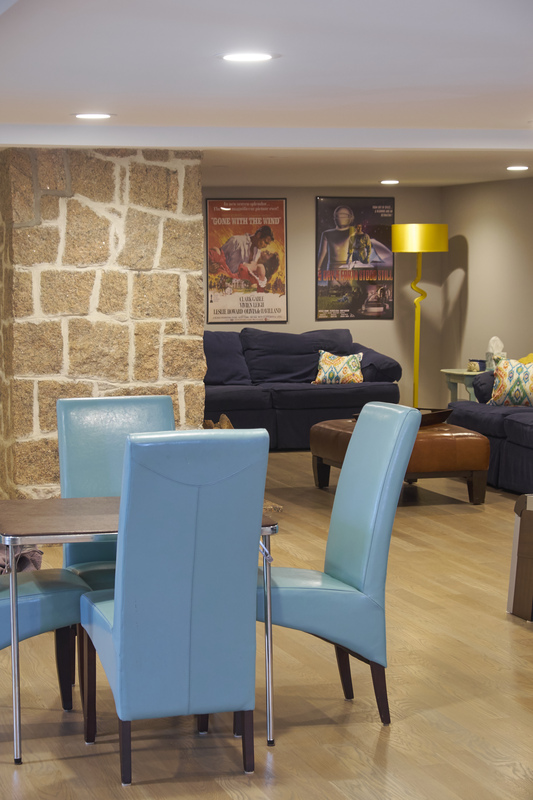 With a large stone fireplace already in the space, the owners decided to turn it into a fun family room/rec room. 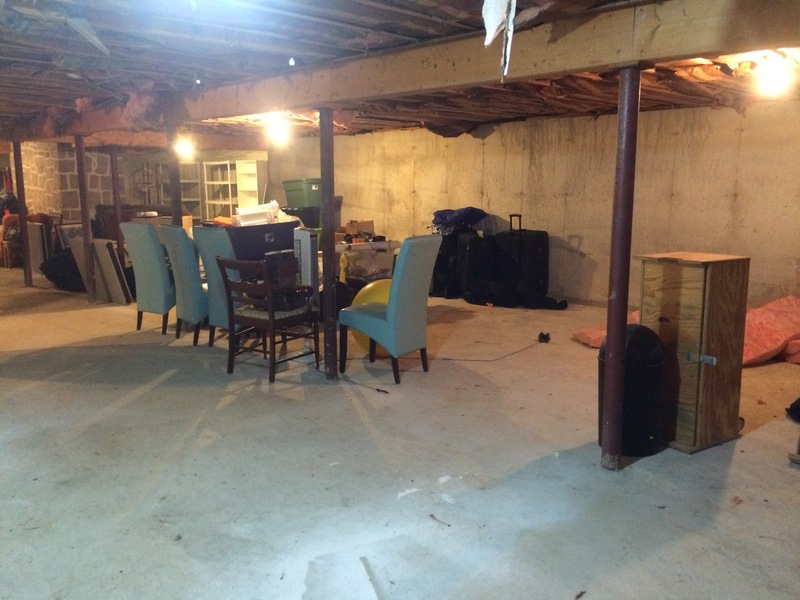 Beams in the ceiling were raised to allow more head room. 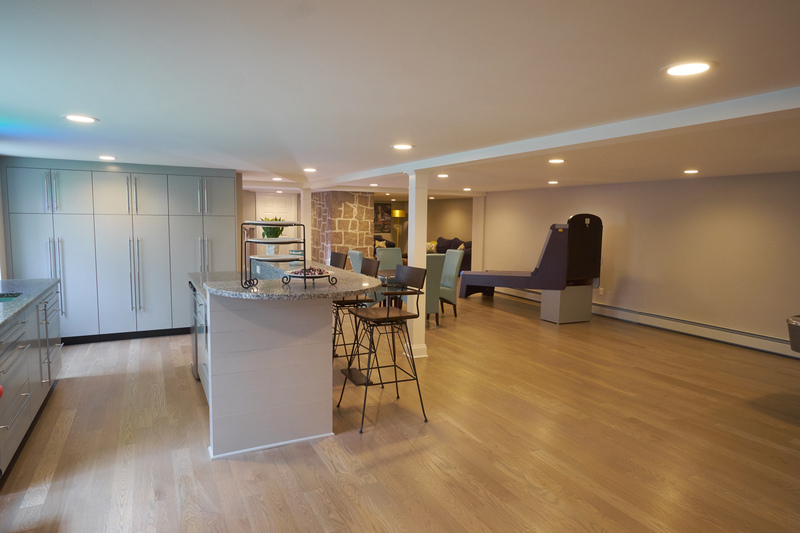 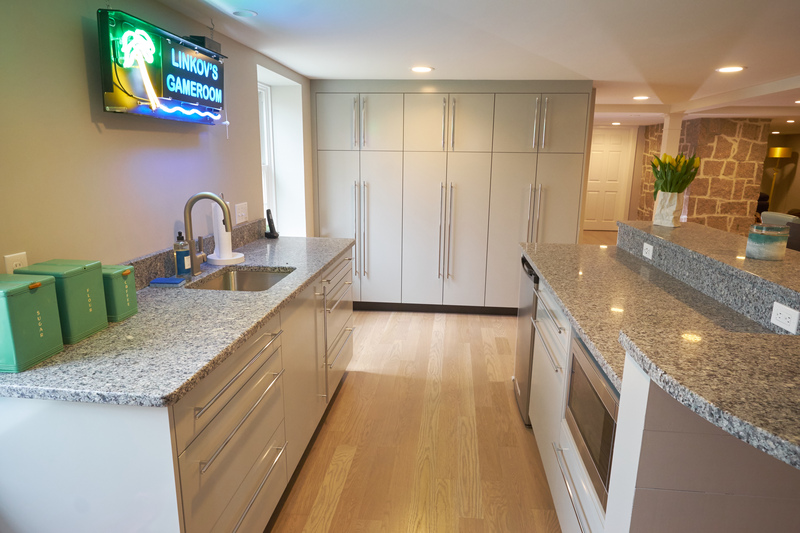 Gray stained white oak floors and sleek gray cabinets give the space a contemporary flair.